When adding locations in the clock app, the listed city name will be divided in many small groups (sorted with the first character), making it the number of groups become super large, and hard to navigate to the city that you want. on iOS, it's sorted with the strokes for the first character. 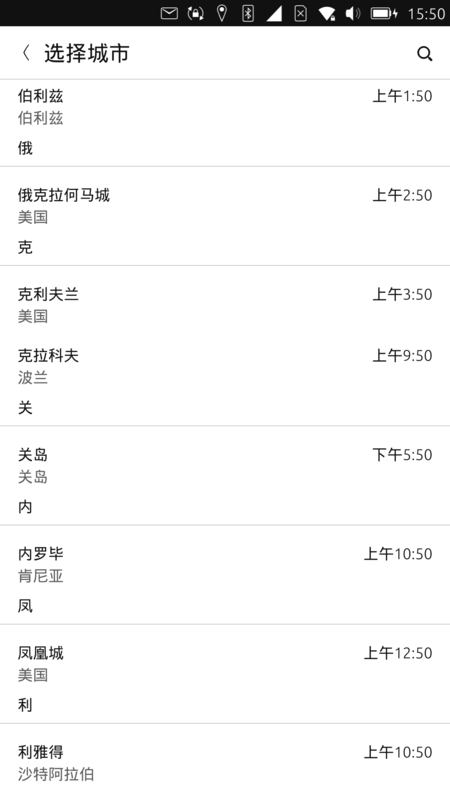 on Andorid, it can be sorted by timezones or by stokes. Could you please attach the screenshot of this issue? you can see that it's using the first character to group locations, but unlike 26 alphabets in English, there are too many possibility in Han Character. Making this grouping become useless.